Home » Non-SQL Stuff » Not at the PASS Summit? How about Peru instead? Not at the PASS Summit? How about Peru instead? Are you at the PASS Summit this week? I wasn’t able to make it myself. 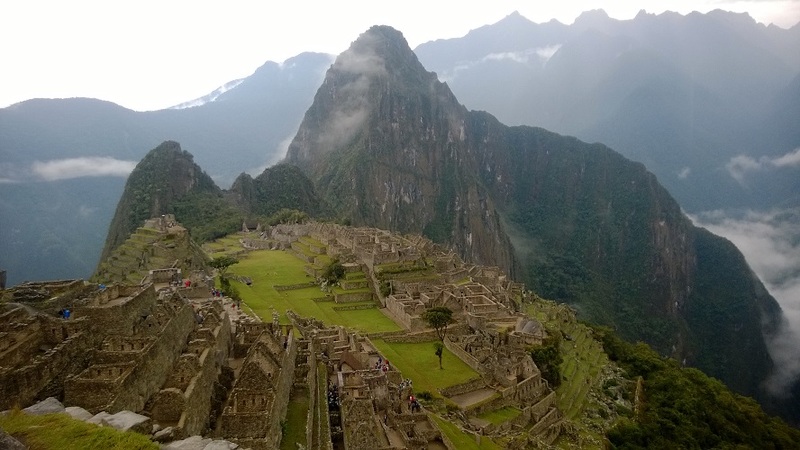 But I can find some consolation in the fact that I just returned from a fantastic trip to Peru. Not a bad trade, eh? Machu Picchu has long been a bucket list item, and my better half and I decided that this was the year. 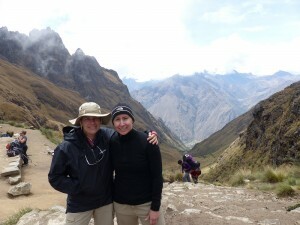 Since this was likely to be a once-in-a-lifetime trip, we decided to go for broke and do the 4-day classic trek on the Inca Trail to get there. Our trip started with a couple of days in Cusco. The Inca Trail hike can be rigorous, to say the least, and it’s recommended to spend a few days at altitude to get acclimated before starting out. So the night of our arrival we arranged a visit to the Cusco Planetarium overlooking the city. We were given a presentation on the southern skies and their role in the Incan civilization, then looked at some amazing sights through their telescopes. The Cusco Planetarium is a small, family run operation, but they are obviously passionate about what they do and it was a great way to spend our first evening. 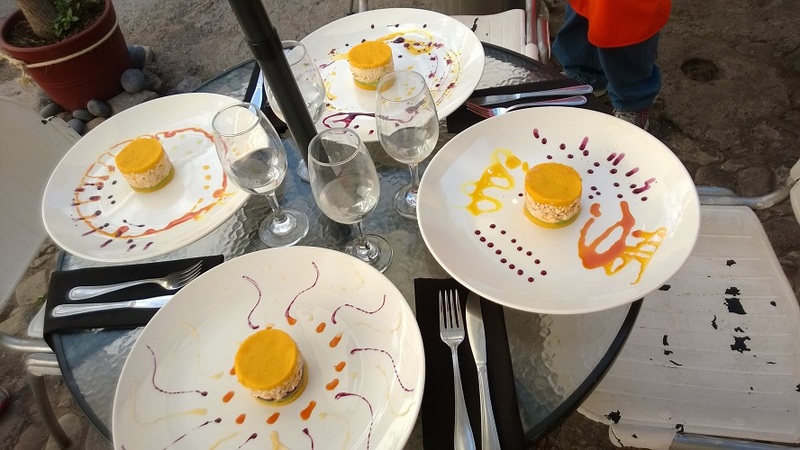 The next day, after some exploring around the city, we took a cooking class through Marcelo Batata. For me, this was the highlight of our time in Cusco. For several hours we learned about native fruits, veggies and grains of Peru and how Peruvian cuisine has been influenced by outside cultures. We prepared an appetizer course, Pisco cocktails, and a main course, all while being treated to small bites prepared by the chefs. Everything was absolutely delicious and this is another activity I would recommend to anyone visiting Cusco. Especially anyone who appreciates good food. The day our trek began, we were up at 3:30am to meet our 4am bus that would take us to km 82, the official starting point of the classic Inca Trail hike. And there began a 4-day hike that I can honestly say was the most physically challenging experience of my life. I knew it would be tough. I’d read about other hikers’ experiences, watched videos on YouTube, and in my head I knew the distances and elevations. But reading about it didn’t fully prepare me for just how hard it was. On day 1 I was seriously wishing I’d spent more time on the treadmill in the weeks leading up to this trip. Really, it was just your average hike at this point, but I had underestimated the effect the altitude would have on my breathing and stamina. Add a day-pack with a couple liters of water and I was a bit winded at points. The day-2 hike to Dead Woman’s Pass, however, had me seriously questioning whether I had it in me. There were stretches where I would walk 20 steps or so and have to stop to catch my breath. Makes for a long morning. When you finally reach the top of the pass, however, all the fatigue suddenly disappears and is replaced by this incredible sense of accomplishment, and you’re ready to go again. Good thing too, because we still had several hours of hiking ahead of us that day. Day 3 was a piece of cake by comparison, we made it to our final campsite early enough to enjoy a siesta before a side-trip to some ruins. Our day at Machu Picchu started at 3am. We dressed and ate a quick breakfast before lining up the a gate to wait until 5:30, when we would be allowed to start our hike to the Sun Gate. There are mixed opinions about whether it’s worth getting up so early to get into that line. 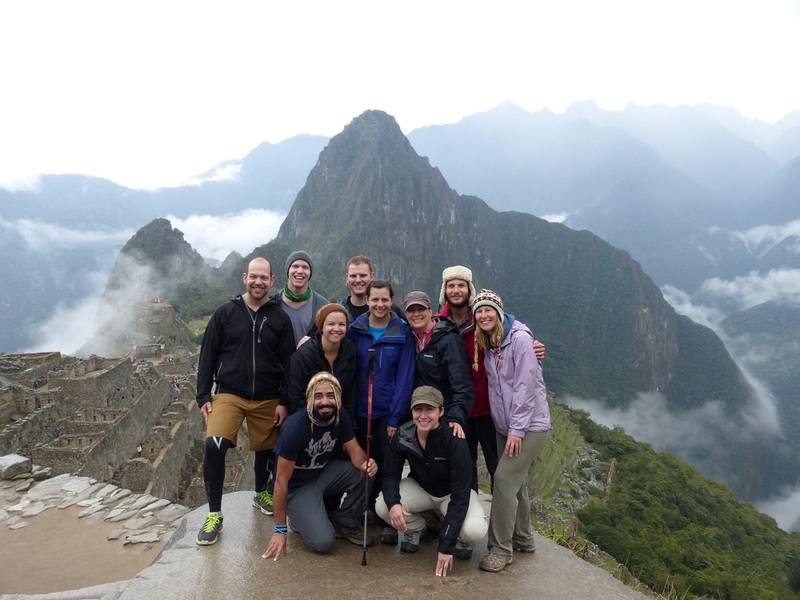 On the one hand, everyone wants to be the first group to the Sun Gate and to Machu Picchu itself. Beat the crowds and there’s fewer people in your pictures, right? On the other hand, even if you’re the first group waiting at that gate, it doesn’t open until 5:30, and when it does open, everyone enters the trail at the same time. So, I’m not sure just how much of an advantage it gives you. Personally, I wasn’t keen on the idea of getting up so early just to wait, but when I caught my first glimpse of Machu Picchu, I didn’t mind so much. I really wish I had the words to describe it. Awesome comes to mind. It’s hard to believe something like that could be “lost” for hundreds of years. What makes it more amazing is that they’re still uncovering it. Solo hikers are not allowed onto the trail, you have to sign up with an official group. After some shopping around, we ended up choosing Llama Path, based on online recommendations and reviews. They handle the Inca Trail entries, Machu Picchu tickets, as well as providing camping equipment, guides and porters, food and water. There were some minor hiccups, but all in all Llama Path is a fine company who took good care of us. I think I should say something in particular about the porters, because I have no idea how they do what they do. Each morning after we tourists left camp, they broke everything down, packed it up and carried it on their backs to the lunch site where they unpacked, cooked us lunch, then packed everything up and carried it to that night’s camp site. They would leave a site after us, arrive at the next site before us, and all while carrying huge packs of gear. Going on trips like this as part of a group is a bit of a gamble, isn’t it? A good group of fellow travelers can make an already memorable experience that much more special. Get a bad group and, well, not so much. We were extremely lucky with our group. Every meal came with non-stop laughing, every leg of the trek was so much easier because of conversations with interesting people with great stories to tell. Whether it was the couple from the U.K. who were halfway through a 6-month trip across South America, the Australian boys who were heading to Key West next, or the couple from Canada who proved once and for all that Canadians are the nicest people ever, they all made me realize: I want to travel more. A big trip every couple of years isn’t enough. I want more! The only question is: where to next?